Inside the Fillmore in Philadelphia. 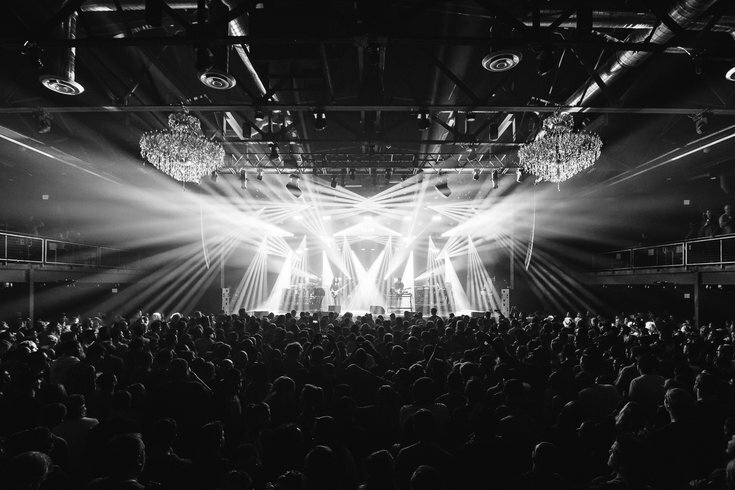 City Fitness is hosting an evening event that's part group workout, part concert at the Fillmore in Northern Liberties on Monday, Aug. 27. Tickets are $10, with all proceeds going directly to Make the World Better, a nonprofit founded by Connor Barwin during his first season playing for the Philadelphia Eagles. The event will kick off at 7 p.m., with 20-minute group workouts in the middle of the dance floor. NFL Super Bowl champion Brandon Bing, the founder of Probing Elite Fitness & Performance, will lead a bodyweight HIIT circuit. Shoshana Katz, the founder of Philly’s BPM Fitness, will lead a high-powered cycling session. And Molly Electro, a personal trainer, will lead a cardio dance class. A DJ will provide the soundtrack to the fitness portion of the evening. After the workouts, Mike Taylor will perform a full concert with his band. The event is happening in celebration of City Fitness’ 11th birthday.